What types of leadership actions and priorities help a culture of safety take hold at a company? Leadership can have a positive impact on workplace safety. While workplaces aren’t entirely defined by their leaders’ decisions, top-down attitudes do influence the day-to-day operational climate. Whether that is a positive or negative factor depends on the attitudes of the people in charge. Office culture and norms are definitively shaped by leadership, and that extends to fundamental pieces of the workplace experience, such as safety. Running a secure office, one that goes beyond complying with Organizational Safety and Health Administration (OSHA) to make employees feel safe and confident, is a positive differentiator. Businesses that operate this way are better equipped to attract top candidates and retain existing workers, while avoiding the fines and legal consequences that come with carelessness and neglect. Establishing any kind of company culture takes effort. In the case of encouraging safety, management must take an ongoing, long-term interest in training workers, keeping their facilities well maintained and encouraging positive behaviors by setting a good example. This isn’t simple, but the benefits are worth it. As EHS Today pointed out, leaders who define their offices as safe and secure are in line to receive both tangible and intangible advantages. On top of the savings from compensation claims and OSHA fines, low accident rates also carry psychological positives. The attitudes of workers in a safe office, one where leaders actively try to keep their workers from suffering on-the-job accidents, are notably more positive than in spaces where managers don’t seem to care. Starting out with a good safety record is also a great way to stay secure and accident-free in the future. 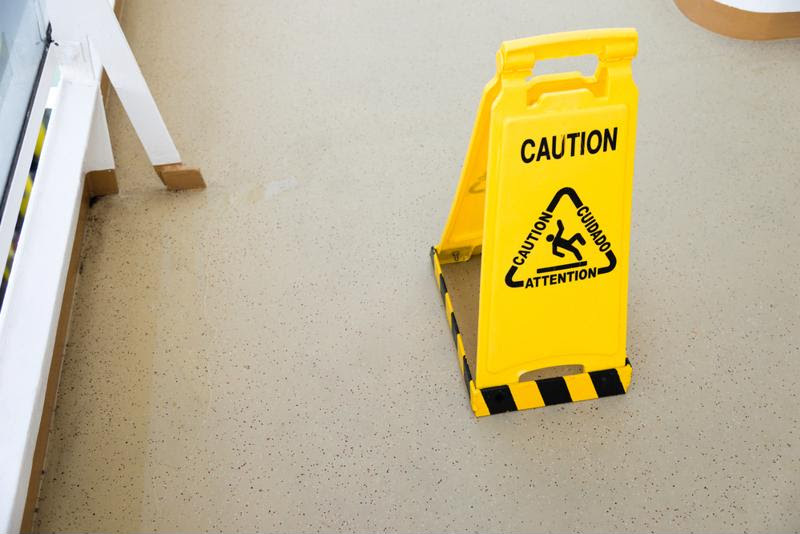 EHS Today contributor Joe Stevens pointed out that workers in an incident-prone setting may become more careless in their day-to-day tasks, internalizing the lesson that injuries are normal. This view of past injuries may cause increasingly more accidents, becoming painful for individual employees and the business as a whole. Management attitudes toward workplace safety are highly influential, and leaders should wield this power early and often. According to Industrial Safety & Hygiene News, leadership should make it clear that safety programs aren’t about savings, but rather the health and well-being of workers. This messaging difference may seem subtle, but the effect can be profound. After all, it can be demoralizing for an employee to think he or she is just a number in a spreadsheet in the eyes of management. A safety culture may have trouble taking hold when employees are resistant to using newer and more secure practices and tools. ISHN recommended leaders start a dialogue with workers who push back against the idea of changing their methods in favor of safety. Often, even hesitant and change-resistant employees do typically already follow some positive, safe practices. Underlining those is a way to promote new directives and priorities. ISHN added, these leadership measures should not come as a response to accidents in the workplace, but instead be proactive. Even if an office hasn’t suffered from safety failures yet, it’s not necessarily safe. Leaders should always be on the lookout for risk factors or bad habits to correct. Safety is always relevant, no matter the industry. Leaders can positively change the way their workplaces operate by paying attention to seemingly small elements of the work environment. For instance, the Quill blog recommended clearing hallways of clutter. In addition to making the workplace look nicer and more hospitable, this removes tripping hazards, which may be hugely important in an evacuation. Paying attention to power cords is another small effort to take to prevent accidents. Having escape plans is another essential part of encouraging security. Evacuation planning is a three-step process. First, leaders must ensure concrete plans exist in case of danger. Next, they have to ensure every employee knows what to do in such a situation. Finally, they must keep routes clear at all times. Companies that aren’t part of high-risk industries may not incorporate safety classes into their standard employee training. This would be a mistake – after all, workers may deduce what organizations care about based on the types of training courses and preparation they offer. Companies that skip over safety can send the wrong message, making it appear maintaining a secure environment isn’t one of their priorities. Training in everyday safety practices has a twofold effect, affirming that a company does care about its employees while imparting the everyday knowledge to keep accident rates low. Leaders who prioritize safety courses – alongside speaking directly with workers, setting official policies and managing the office environment – may set positive patterns that affect their companies for years to come. No matter the industry or size of company, safety is a universal need. This entry was posted in Office Culture, Workplace Health and Safety and tagged office safety, safety, safety culture, safety culture training. Bookmark the permalink.